They’re here! We’ve launched a full range of make-your-own craft cocktail sets, ready for delivery now. We’ve spent time testing combinations of the finest artisanal spirits and premium mixers to put together a killer cocktail list. Starting from just ¥250 for eight glasses, our sets include everything you need to be your own bartender. That means spirits and mixers, yes, but also beautiful garnishes and quality ice. Every set contains enough spirits, mixers and garnishes to mix at least eight cocktails. From a stiff Negroni to unique Gin & Tonics and from Martinis to Margaritas, there’s something here for any serious cocktail connoisseur to enjoy. An exceptional locally crafted gin made with Sichuan peppercorns, delivered with a six-pack of premium tonic water for a truly astounding G&T. All you need to do is mix it up. Includes 1x Peddlers Gin (750ml), 6x Thomas Henry Tonic Water (200ml), 8x Lime Slices and ice. Everyone’s favorite classy concoction with some Asian spark, combining Shanghai-made gin with cherry blossom-infused tonic and beautiful dragonfruit garnishes. A Gin & Tonic like you’ve never had before – but one we bet you’ll have again. Includes 1x Peddlers Gin (750ml), 6x Thomas Henry Cherry Blossom Tonic (200ml), 8x Dried Dragonfruit Slices and ice. Everything you need to make twenty four (!) of the best Negronis you’ve ever had, with three artisanal spirits. Mix, sip, repeat! Includes 1x Citadelle French Gin (0.7l), 1x Rinomato Aperitivo (1l), 1x Mancino Vermouth Rosso Amaranto (.75l), 8x Dried Orange Slices and ice. Is there anything more perfect than a well-mixed dry Martini? Find out with everything you need to make a perfect, fully garnished one of your own with premium French gin and artisanal Italian vermouth. Includes 1x Citadelle French Gin (700ml), 1x Mancino Vermouth Secco (75ml), 1x Olives (230g) and ice. Our own variation on a Moscow Mule with a hot German twist. Our ‘Berlin Mule’ combines small-batch boutique vodka from Berlin with premium, spicy German ginger soda. Includes 1x Our / Vodka Berlin (375ml), 6x Thomas Henry Spicy Ginger (200ml), dried ginger and ice. Take a trip south of the border with Mexico’s supremely refreshing and flavorsome national cocktail, combining premium Hi Tequila Reposado with Mexican-Style Paloma Pink Grapefruit Lemonade. Includes 1x Hi Tequila Reposado (750ml), 6x Mexican-Style Pink Grapefruit Paloma Lemonade (250ml), 8x Dried Grapefruit slices and ice. We can’t take you to the beach, but we can bring a little bit of the beach to you. This is all you need to make a faithful version of this sunny summertime favorite, combining artisanal tequila with an exceptional triple sec, lime juice and ice. 1x Hi Tequila Reposado (750ml), 1x Pierre Ferrand Dry Curaçao Triple Sec (700ml), 1x Lime Juice (200ml) and ice. 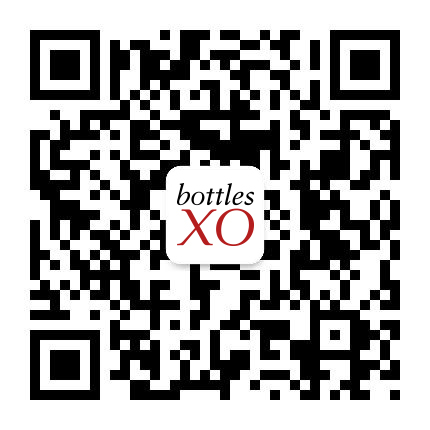 A fruity, smooth and refreshing BottlesXO original. Our Tropical Spritzer combines small-batch coconut-infused rum with premium sparkling water and lime juice for a drink that’s (somehow) even better than the sum of its parts. Trust us, one glass won’t be enough! Includes 1x The Grove Coconut Rum (500ml), 2x Coralba Premium Sparkling Water (750ml), 1x Lime Juice (200ml), 8x Simple Syrup (10ml), 8x Dried Pineapple Slices and ice. Timeless and tough, our Old Fashioned uses a base of Small-Batch Rye Whiskey from the Rebel Yell distillery in Kentucky. The classic combination of spirit, bitters and syrup is smoky and endlessly satisfying. It’s ‘Old’ for a reason – why fix what ain’t broke? Includes 1x Rebel Yell Small-Batch Rye Whiskey (750ml), 1x Angostura Bitters (200ml), 8x Simple Syrup (10ml), 8x Dried Orange Slices, and ice. Keep it simple. All you need for a top-notch highball is great whiskey, great soda and great ice. We’ve got all three. Includes 1x Wild Turkey Kentucky Straight Bourbon (750ml), 2x Coralba Premium Sparkling Water (700ml), 8x Dried Orange Slices and ice. Channel your inner mixologist with a round of this mysterious tropical favorite. Made with a unique Spiced Rum for notes of cinnamon, nutmeg and vanilla with an extra smooth kick. Includes 1x Chairman’s Reserve Spiced Rum (700ml), 6x Thomas Henry Ginger Ale (200ml), 8x Dried Lime Slices and ice. Shake it up a little! Our Daiquiri is a tropical delight combining quality white rum from Plantation with citrusy lime juice and a little sugar sweetness. Nice and easy while packing a serious punch. Includes 1x Plantation 3 Stars White Rum (700ml), 1x Lime Juice (200ml), 8x Simple Syrup (10ml) and ice. Did someone say aperitif? Keep it classy, simple and satisfying with a timeless blend of great Prosecco, artisanal Italian bitters and a splash of bubbly soda. Includes 2x Ca’ di Alte Prosecco (750ml), 1x Rinomato Bitters (1l), 2x Coralba Premium Sparkling Water (750ml), 8x Dried Orange slices and ice. A hipster highball? Sounds good to us! This is an original concoction built on a base of delicious Fernet Hunter, an artisanal liqueur that makes an exceptional aperitif but goes down even smoother when topped up with premium soda water that coaxes our the herbal flavors and lets them shine. Includes 1x Fernet Hunter Herbal Liqueur (750ml), 2x Coralba Premium Sparkling Water (700ml), 8x Dried Orange Slices and ice. Get things started with this extra-boozy version of a Kir Royal that blends our delicious dry Prosecco wth artisanal raspberry liqueur for a fruity, refreshing hit! Includes 1x Ca’ di Alte Prosecco (750ml), 1x Mathilde Framboise Raspberry Liqueur (375ml) and ice. We launched our new cocktail range with a Hi Spirits Rooftop Party on the WE Rooftop in Jing’an, Shanghai. A big THANK YOU to the partner’s and customers that came this weekend! It was an amazing event and we couldn’t have made it without you. Keep your eyes peeled for more big events coming up over the summer. All of the packages above – as well as our full range of individual spirits and mixers – are available now for instant delivery in Shanghai. Click here to download our app and start ordering.